Some will say it’s a phase. Others will call it a temporary chapter. Whatever you may call it, there will be no return to the past! Everything and everyone on Earth is moving into its rightful place. What comes next is a Realization. Some will call it an eternal day but the Sun and Moon will continue to rise and set. Some will notice 3 years will have passed as the seasons still came and went. Most will know it as the Long Year – but only after all is said and done. The Long Year will begin on August 25, 2018 and seem to come to a close on October 9, 2021. The framework of The Long Year will be serving to develop humanity’s integrity, trust, and responsibility with Mother Earth and the Universal Community. Our enhanced integrity, trust, and responsibility will also lead to the maturity of humanity. Only in a mature state of integrity, trust, and responsibility will all of humanity become unified for and with our common Home – Mother Earth! The Long Year will have several overlapping stages in order to enable humanity’s transitions fully into the Universe’s Fifth Dimension. Mother Earth will begin producing her body’s necessary changes to initiate her Fifth Dimensional body on April 25, 2020. The Long Year will begin initiating just prior to the conclusion of Mother Earth’s “Great Melting” on December 27, 2018. This is Mother Earth’s process to eliminate humanity’s use of her former Fourth Dimensional Vibratory Frequency. Will humanity be the same? Will humanity have completed its own Transition? The only thing that can be said that’s True now is that everything and everyone upon Mother Earth is now within Transition! If tomorrow never comes it would be much like a long and enduring night. This is the effect it will bring, Dear Ones. The Long Year will be humanity’s final Transition. Some people will act the same – with no awareness of the presence of the Long Year. Others will try to act the same, while having some awareness of the presence of the Long Year. The few who will be fully aware, conscious, and awake will be the ones who have endured the entirety of humanity’s final Transition! Being fully aware, conscious, and awake to what, you ask? Being fully aware, conscious and awake to The Realization that a New Day – a New Era – and a New Reality is upon Mother Earth! Without the availability of Mother Earth’s Fourth Dimensional Vibratory Frequency – after December 27, 2018 – what will humanity do? What will be different? What can we do now? Though nothing will look out of place or different to our eyes, what will differ will be Mother Earth’s New Vibration, radiating for everything and everyone upon her. On December 27, 2018 it will be Time for humanity to begin the Re-Organization of Mother Earth for the Fifth Dimension! Some will assimilate and do their part. Others will be in doubt and hesitant. Still, others will not be capable of responding to Mother Earth’s New Vibration – living as if they were from a long past era of time. Only their memories will be alive – not their Hearts and Souls! 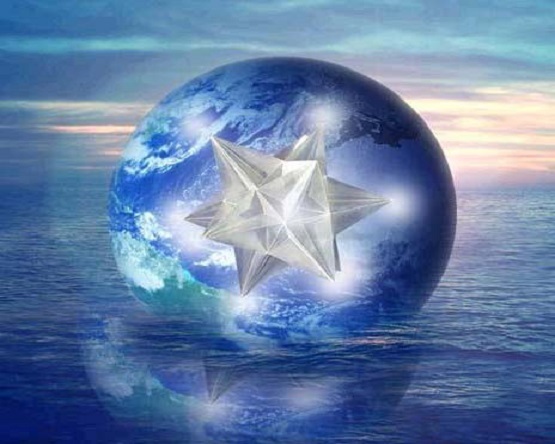 Beginning with the Re-Organization of Mother Earth for the Fifth Dimension, Mother Earth and all of humanity will need to be collaborating as a cohesive team, together and unified with our one common goal – To Re-Create our home upon Mother Earth for the Fifth Dimension! The Re-Organization of Mother Earth for the Fifth Dimension will begin on December 27, 2018 and conclude on August 12, 2020. What will follow from August 13, 2020 through March 28, 2022 will be an “Unsettled Period” of Time. Our linear experience of time via the clock and calendar will be a thing of the past. Time will be experienced as the movement of our Soul – our Hearts and Souls serving to lead all our thoughts, words, and deeds on Earth. Will everyone know and realize the difference? Will everyone know and realize the content of his or her Heart and Soul? Will we all become our Hearts and Souls? There is seemingly not much Time left and much preparation is required for humanity’s final Transition. Humanity still needs to learn to allow their own internal guidance system – their Heart and Soul – to lead them. Until December 14, 2018 all of humanity is still within a decision process – whether to respond to the Calling – the choice to decide to acknowledge and enact one’s Soul’s Spiritual Purpose within Mother Earth’s Fifth Dimension. What we all have available within us now is the substance of our Hearts and Souls. Humanity’s final Transition is entirely about discovering the entire content of our Hearts and Souls. Nothing more! If we have succeeded in discovering the content of our Hearts and Souls before the Long Year arrives, we will have already initiated our part in humanity’s final Transition. Thus, with the discovery of the content of our Hearts and Souls will come our next stage – preparing for the Re-Organization of Mother Earth for the Fifth Dimension! Some can now create with Mother Earth’s Fifth Dimensional Vibratory Frequency. Most cannot. On August 22, 2018 there will finally be enough awakened humans on Earth to utilize Mother Earth’s Fifth Dimensional Vibratory Frequency and overcome humanity’s use of her former Fourth Dimensional Frequency! We must achieve a New Realization first. The Realization of a New Day – a New Era – and a New Reality is upon Mother Earth! This entry was posted in Uncategorized and tagged Alexander, begins August 25. 2018, develop human's integrity, love, maturity of Humanity, REALization, The Log Year. Bookmark the permalink.